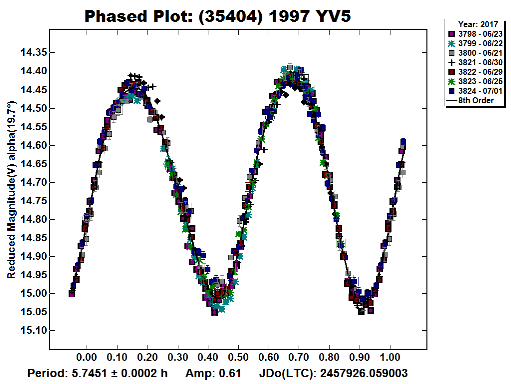 J. Oey, Blue Mountains Observatory, Leura, NSW, Australia; P. Pravec, H.
of Mars, is a binary system with an orbital period of 20.60 Â± 0.03 hr. 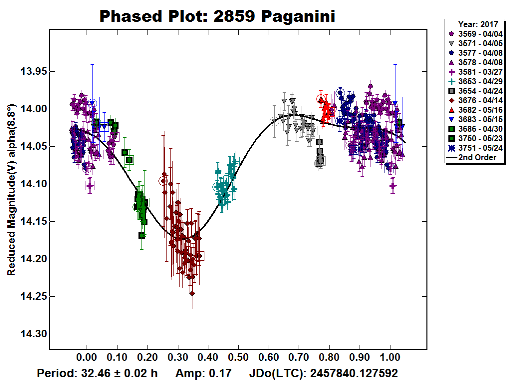 the last night was linked using same comparison stars since 2859 was in a stationaly position as viewed from earth. 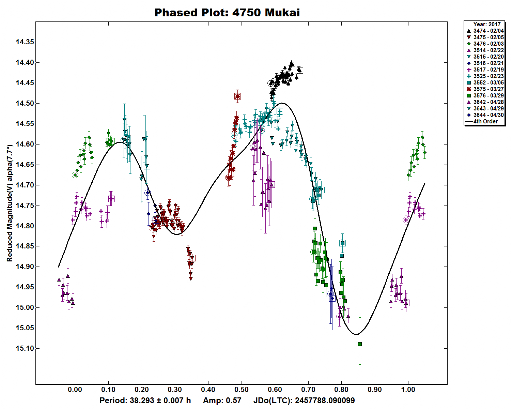 Probable binary target for PSABA target. 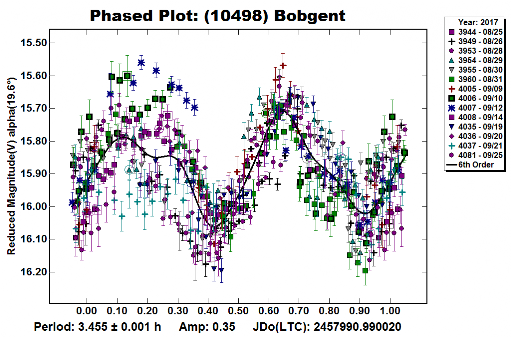 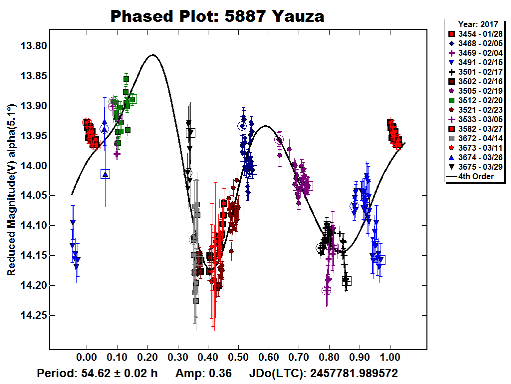 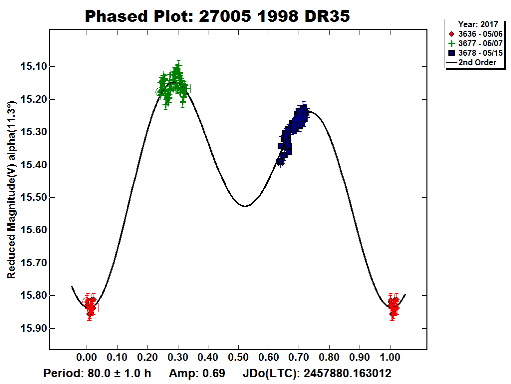 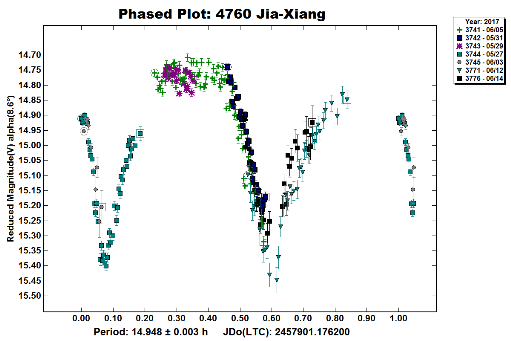 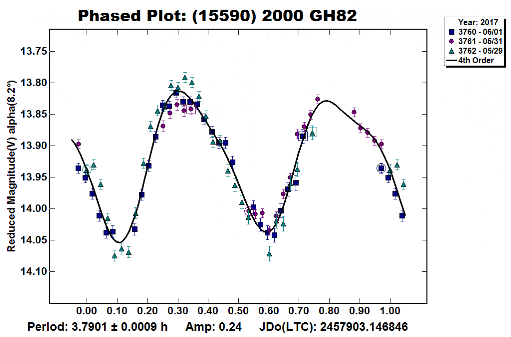 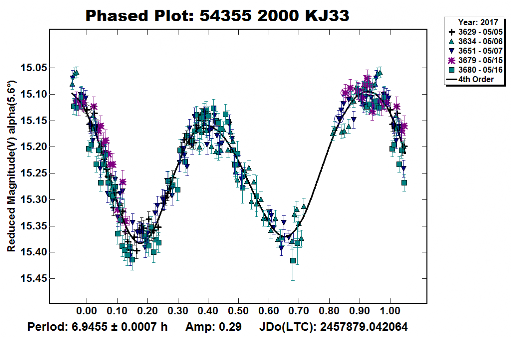 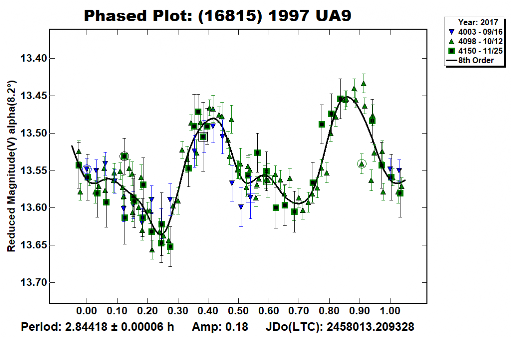 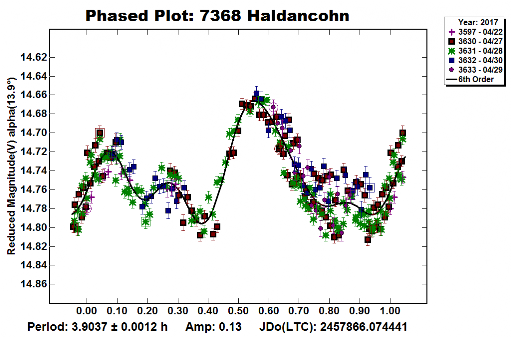 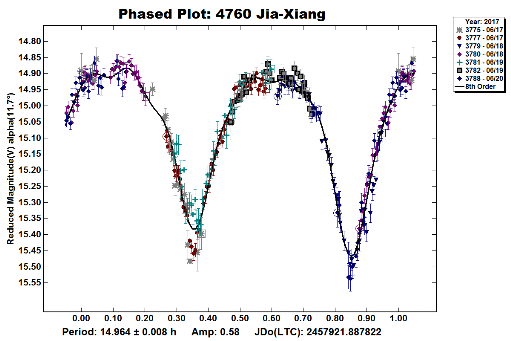 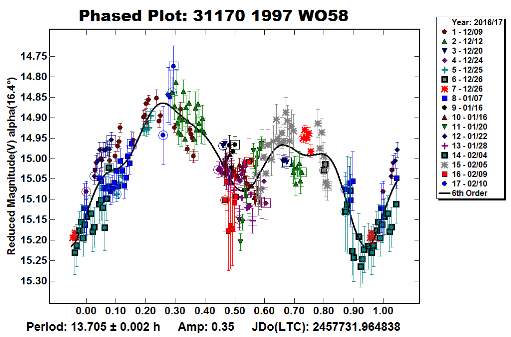 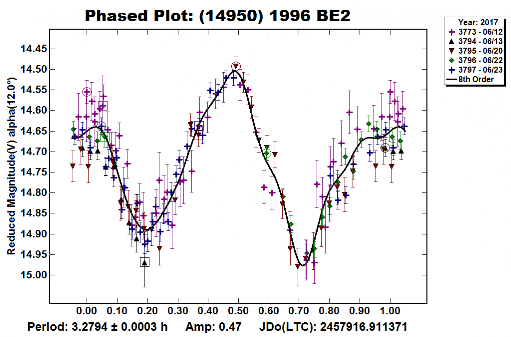 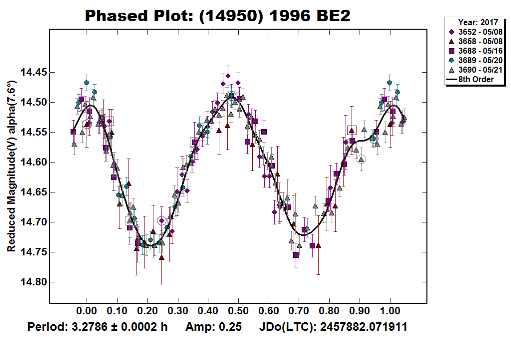 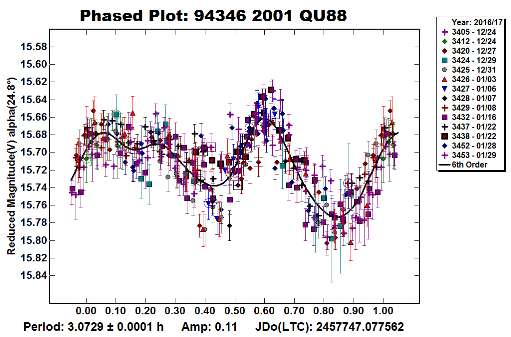 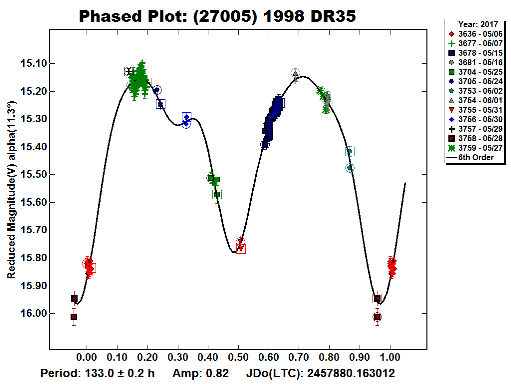 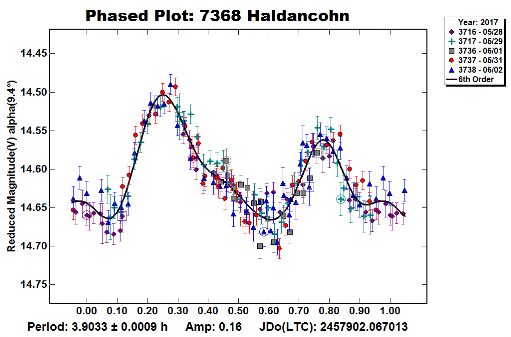 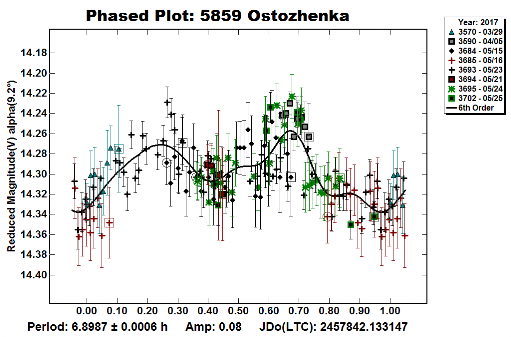 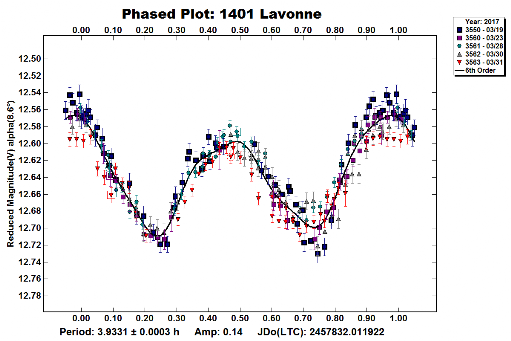 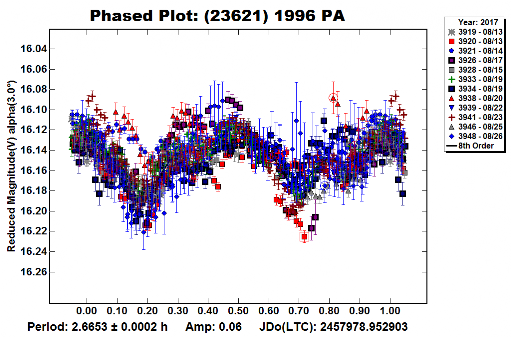 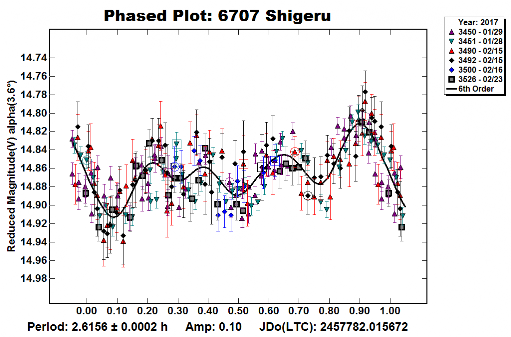 This asteroid show a long period bimodal light curve. 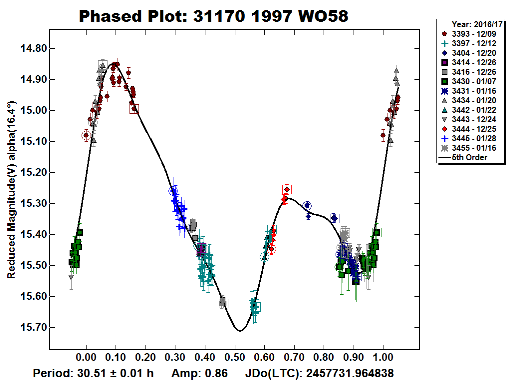 very low amplitude target . 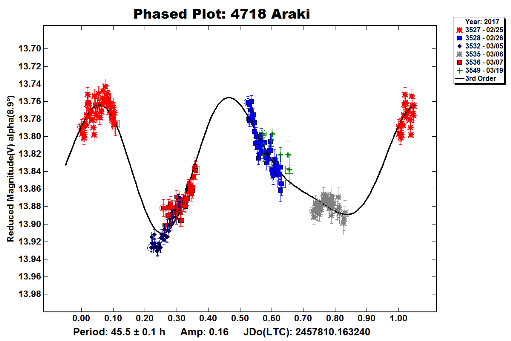 initially target appear to have synch binary characteristic however after more data was collected, it appear to be a large amplitude asteroid. 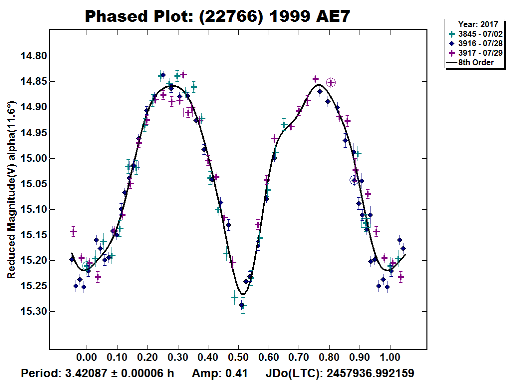 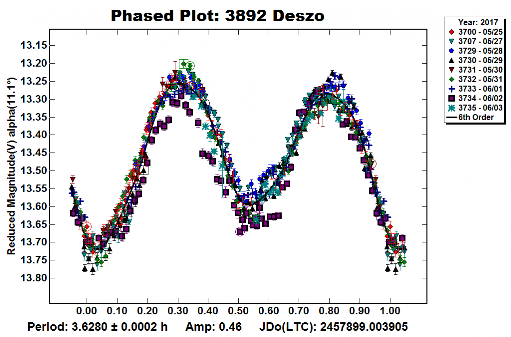 Unusual light curve. 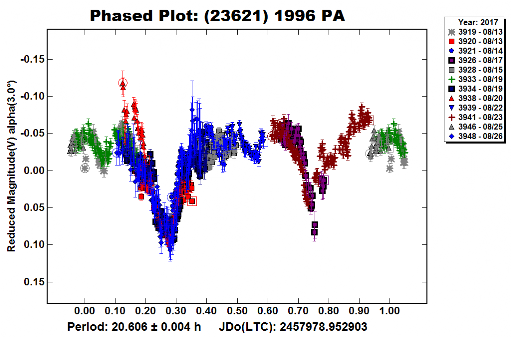 possible synch binary but unconfirmed. 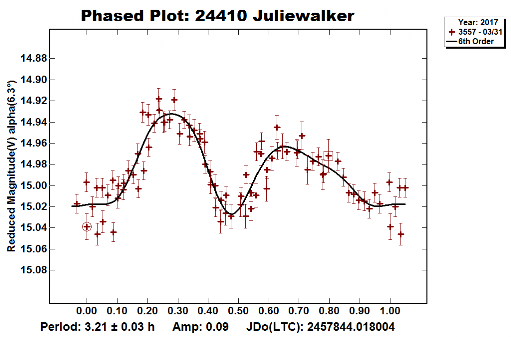 May target was taken with JBL02 and 24"
Data collected for the month of June. 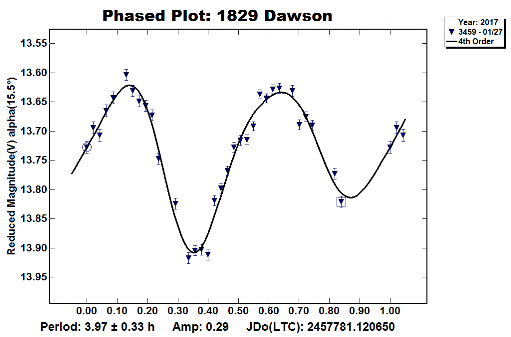 Amplitude is larger due to the usual Phase-Amplitude relation ship. 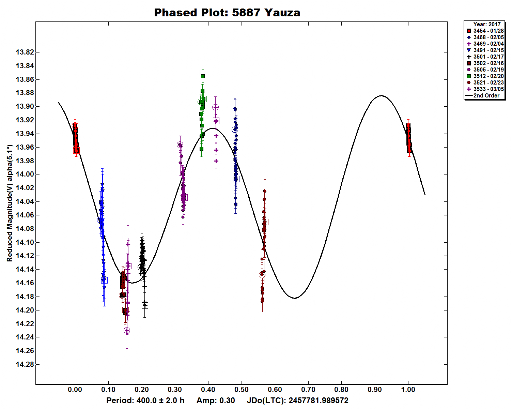 couldn't get long sessions .